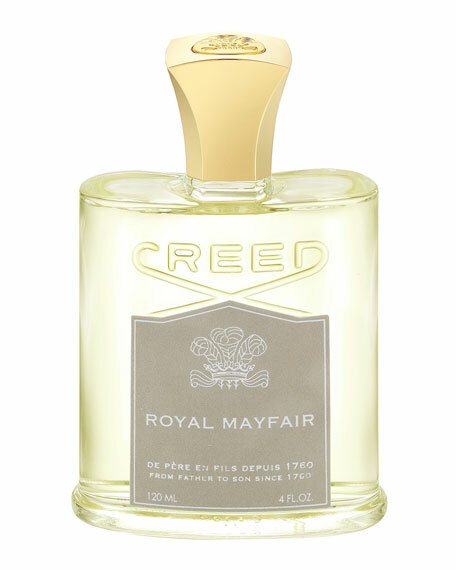 The House of Creed releases Royal Mayfair, a vaulted scent that honors the Duke of Windsor, the famed British royal synonymous with taking risks in life, love and style. An homage to sartorial icons who push traditional fashion boundaries, Royal Mayfair debuts nearly 80 years after its original commission as one of the brand's most coveted accords and significant men's launches since Aventus in 2010, at a time when menswear is more prominent than ever. Known as London's most posh neighborhood, Mayfair thrives as one of the globe's most desirable fashion hubs, toting high-end labels that attract the super-stylish and elite. Originally reintroduced as Windsor in 2009 with several very limited reissues in 2010 and 2011, the aptly named Royal Mayfair celebrates all men of style and the heralded neighborhood that not only served as the go-to for men's fashion, but also the location on Mount Street of our one and only Creed boutique bowing in June 2015. British Gin, Jamaican Lime and a touch of Scottish Highland Pine. Fragrant Duke of Windsor Roses. Bahamian Orange, Canadian Cedar and Australian Eucalyptus. For in-store inquiries, use sku #1561153.